Closed Sunday, Monday, and most major state and federal holidays. -No fee for individuals. Donations accepted. -For group rates (minimum of 10 people), please contact us at polk@ncdcr.gov, or complete our inquiry form. Public tours of the cabins are offered at regular intervals at no charge to visitors. Tours leave from the Visitor Center lobby and typically last about 25 minutes. 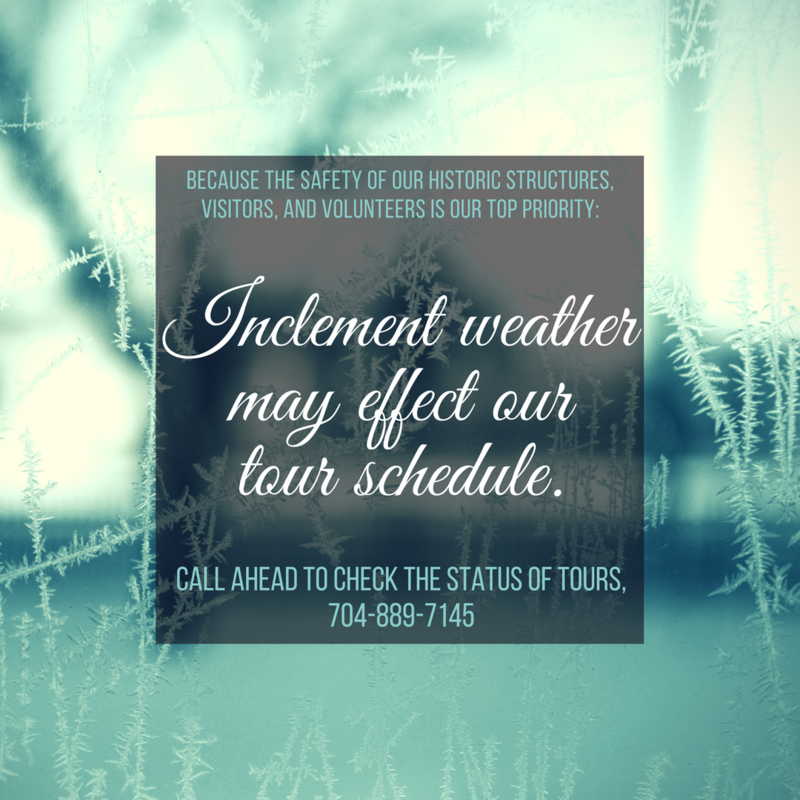 On weekdays, tours begin at 10:00 am, 12:00 pm, 2:00 pm, and 4:00 pm. On Saturdays, tours begin at the bottom (ex. 9:30 am) of every hour. A 13-minute film about James K. Polk and his presidency is shown at the top of each hour (i.e. 10:00), with the final showing at 4:00 p.m.
Would your group enjoy a tour of our historic site? It's fun, and you'll learn about one of the nation's most interesting presidents. Click the picture of Mr. Polk for a group tour inquiry. The reconstruction of the two buildings, plus the barn, was done in 1967. Each part was brought to the site piece by piece. The style of the cabins was considered to be of a “Scotch-Irish” type as this was the dominant nationality of the immigrants who settled here, including the Polk’s. 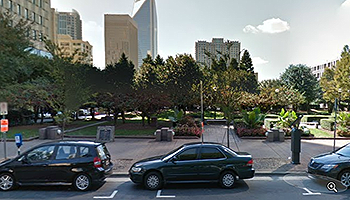 Since there were only 21 acres left of the original 150 acres that President Polk’s father, Samuel, had owned at the time of the state buying the deed, it is difficult to accurately say where the original buildings once stood. There is no real historical research of any kind that has been done on the buildings, or their original owners, that were used to reconstruct the Polk homestead. Since most of the backcountry migrants did not have access to labor-intensive tools and skilled laborers they had to make due with the available trees and their axes. These homes were considered to be only “temporary.” The immigrants planned on being able to, eventually, acquire resources that would allow them to “better” their houses by fixing them up. A family was considered wealthy if they were able to have glass windows installed, such as the Polk’s were able to. The site itself is meant to be a faithful representation of what the Polk farm could have looked like in the late 18th to early 19th centuries. The main reason being that we do not know exactly what the buildings looked like or where they stood; we are using eyewitness accounts, which can be somewhat debatable. In 1904 the Daughters of the American Revolution placed the monument that is seen as you first enter the site. For years this was the only marker showing that a President of the United States of America was born here in Pineville. The original structure was built in the early 1790’s and housed Samuel and Jane Polk along with their growing family. By 1806 there were a total of five children, with the future President, James K. Polk being the eldest, living in the house. In 1806 the family moved from Mecklenburg County to a new home in what became Columbia, TN. The home in Pineville was sold off throughout the years in various parcels. According to Jeff Bockert, former Site Manager of the President James K. Polk State Historic Site (2000-2005), the last recorded mention of the original Polk home was in 1851. The owners of the land at that time moved the structure and used it as a barn to house animals. The rest of the remains disappeared. The Main Cabin House was reconstructed with the use of two local structures donated to the site. The Coffey House was a one and one-half story oak log cabin that had been on the land of Alex R. Josephs and his brother, Joe E. Josephs, located off of Providence Road West in Mecklenburg County. It was dated at around 1830. The oak Query House, ca. 1804, was a two-story home located 3 miles west of Harrisburg in Mecklenburg County and had been owned by C.A. Bentley, Sr. The materials used from the Query House included paneling, flooring, bricks, rafters, logs, and lathing strips from the roof. The reconstructed log home came from the eyewitness description of former Governor David Swain. He had written in his diary about the Polk home, describing it in detail. About two years later he exchanged letters with historian Benson J. Lossing and described the home again. In the margin of the letter someone had done a crude drawing of the cabin. From Swain’s description and the drawing the site was able to reproduce the Main Cabin House. The separate Kitchen House was originally called the Kuykendall or Billy Rea house. Dated ca. 1804, it was located on Emma Kuykendall Green’s property off Providence Road near the Providence Presbyterian Church. The materials used from this house included any usable paneling, flooring, mantels, stairway rail and treads, doors, windows, logs, rafters, and bricks. Other materials were used from old buildings in neighboring counties that were in various states of disrepair. This building would not have been decorated as nicely as the Main House because the family themselves would not have spent much time there. The fireplace inside the kitchen cabin is much bigger than the one inside the main cabin. It was in constant use because fires were so difficult to start and food needed to be cooking all day. Because the fireplace was in such constant use, the chances of embers starting fires were common. All the meals would have been cooked in this building and then brought over to the Main House. Only the wealthier families would have been able to afford to have two separate cabins, the main cabin and the kitchen cabin. Perhaps one of Old Mecklenburg’s most important events happened in 1791: a visit from George Washington. The first President had promised to visit every one of the states in the new Union, and citizens waited in line for hours to see him. During the visit, Washington stayed at Cook’s Inn, and at one point dined with Justice of the Peace Thomas Polk. The historic Cook’s Inn was once located on West Trade Street, at the location above. President George Washington spent the night of May 28th, 1791 in Charlotte at Cook’s Inn.